For me, nothing rings in the arrival of spring like a chorus of frogs and toads at the nearby wetlands. Male frogs and toads emerge from hibernation in spring to establish territories along the edges of wetlands, and the females return to find mates and lay eggs. 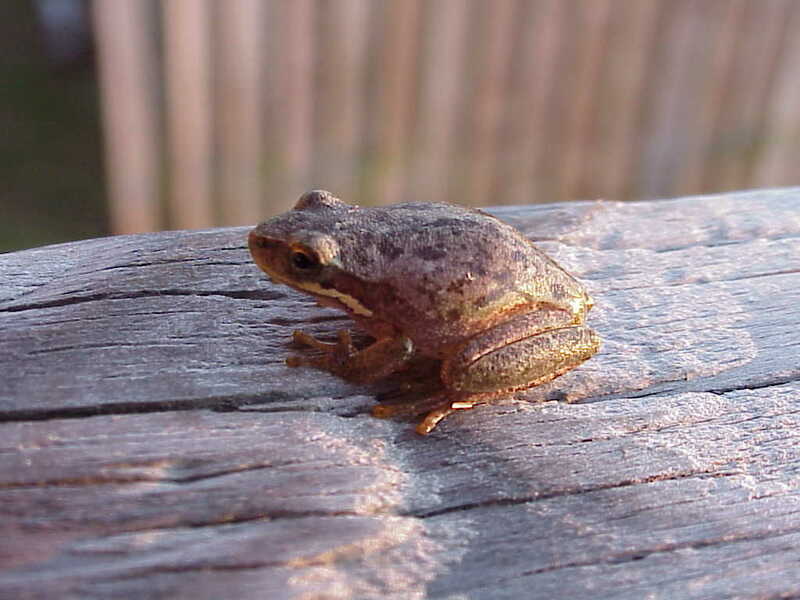 The most common native frog that can be heard in spring is the western, or boreal, chorus frog. It’s our western equivalent of the spring peeper in the east. The call of this tiny frog is unmistakable- just run your fingernail along the teeth of a comb. The introduction of the American bullfrog west of the Rocky Mountains has contributed to declines in native amphibian populations. Adult bullfrogs are voracious eaters, consuming nearly anything that will fit in their mouths. 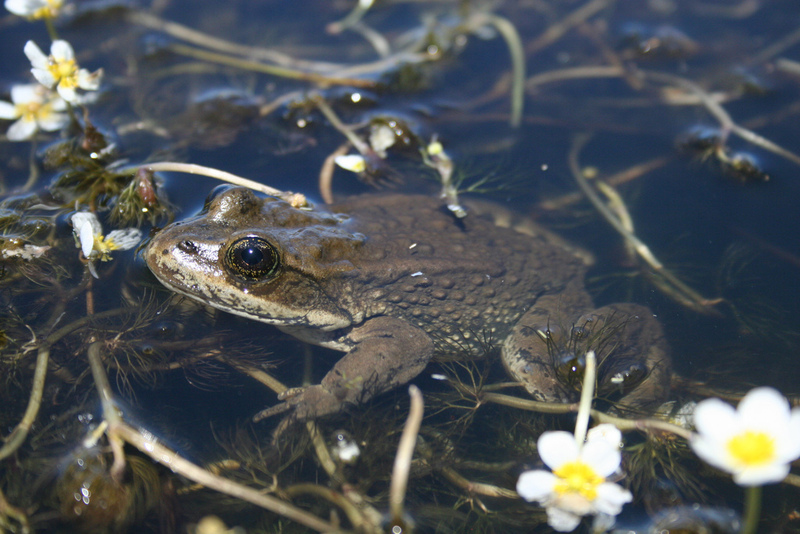 Other tadpoles, smaller frogs, insects, and even mice make a tasty meal for a bullfrog. 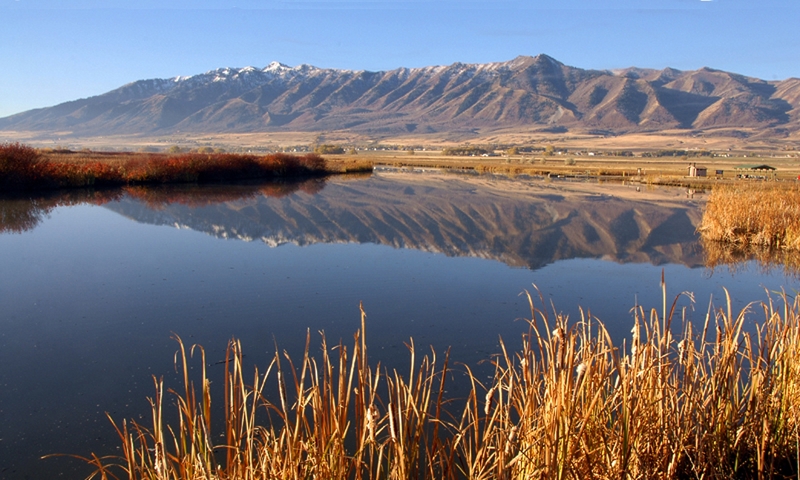 Their great ability to outcompete native frogs has contributed to their abundance among Utah’s wetlands statewide. Their low, humming call seems to fill the air in springtime. Northern leopard frogs were once quite common in Utah, but it’s thought that they are in decline. As one of the largest native frogs, it has perhaps suffered the most from competition with bullfrogs. Still, leopard frogs can be found throughout Utah. Keep an ear out for their low tapping call. The two most common toads in Utah are Woodhouse’s toad and the Great Basin spadefoot toad. Since toads are usually more terrestrial than frogs, they can often be found further away from water. The call of Woodhouse’s toad is enough to put anyone on edge in the middle of the night! Spadefoot toads are very common at lower elevations in Utah’s deserts. But, they spend most of their time buried in the soil, emerging to breed only during spring and summer rainstorms. 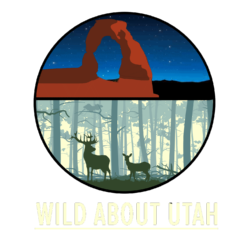 Less-common species include the boreal toad and Columbia spotted frog among wetlands in the mountains, and southern Utah is home to the canyon treefrog and red-spotted toad. The best time to listen for frogs and toads is just after sunset in an area close to water. 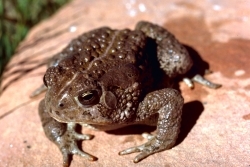 To learn more about Utah’s frogs and toads, and to join a volunteer frog monitoring program, get connected with Utah’s Chapter FrogWatch USA on Facebook, or visit wildaboututah.org.